To get the avocado out of the skin, take the tip of a knife and run it lengthwise through the avocado flesh being careful not to cut into the skin. Now, run the knife perpendicular in the avocado to make little squares. To remove this nicely sectioned avocado from it’s skin, use your fingers and run them between the skin and flesh of the avocado. Let the cut avocado fall into a small bowl. Add all other ingredients. 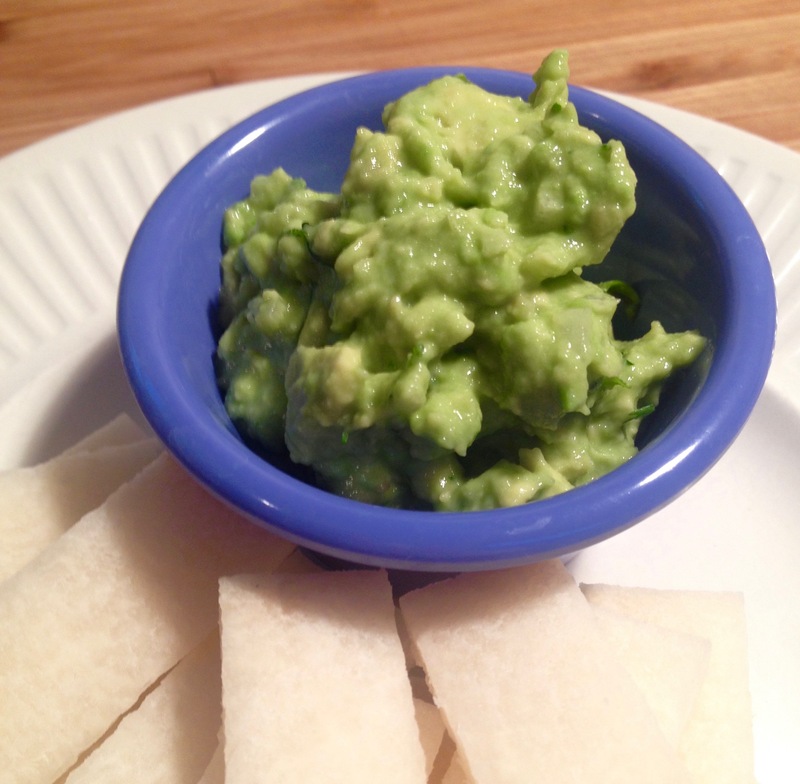 Mix and mash the avocado as you stir until the desired consistency is achieved. I like it creamy, yet chunky. Taste. Add more sea salt if desired. Serve with sliced jicama.